Connie Weissinger Tucker grew up in Philadelphia where she was raised on cheese steaks, soft pretzels, hoagies, and Pennsylvania Dutch sticky buns. Both her mother and grandmother were famous for their creative home-cooking and fabulous desserts. Connie has been creating in the kitchen and at the typewriter for fifty years, and in the studio and darkroom for twenty-five. Her philosophy is “moderation in everything, including moderation.” This means her approach to food is to strive to cook and eat healthily, but to also indulge occasionally without guilt. With the exception of prepared dough, mayonnaise, ketchup, mustard, and the occasional can of condensed soup, she rarely uses processed foods. Connie lives with her husband, Jerry, and their cats, Pinky and Elvis, on the south shore of Madawaska Lake, Maine. They have three grown children and seven grandchildren. 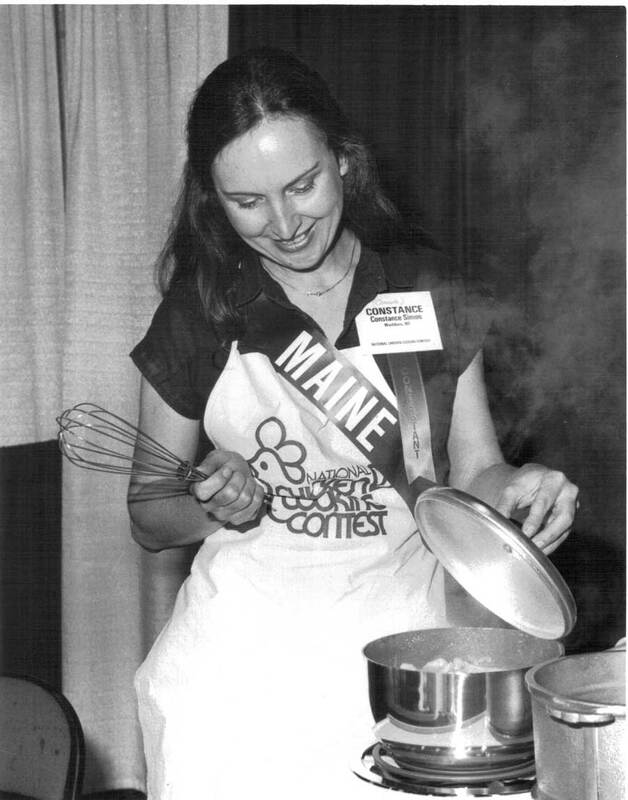 Her column, A Cook’s Journal, appears twice a month in The Aroostook Republican & News in Caribou. You are a cooking hot Rock Star! You flatter me. Keep cooking!